New Year – New Workshops! 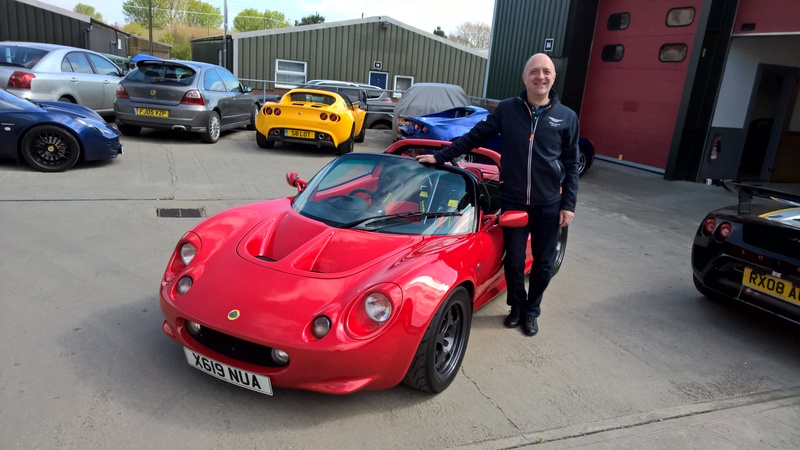 April 2017 saw the completion of a long-term refresh project on a very special Lotus Elise S1. The Calypso Red car was the subject of a thorough overhaul, tackling paint, interior trim, brakes, wheels, suspension and engine modifications. 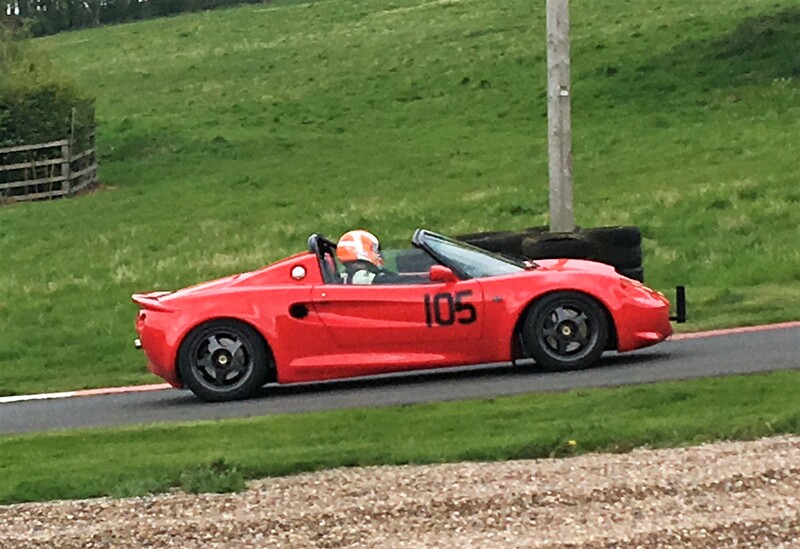 The owner, Chris Brooks, attended one of our CAT Driver Training days at Millbrook last October, where we discussed all aspects of his Elise and his intended use for hillclimb and sprints events in 2017. 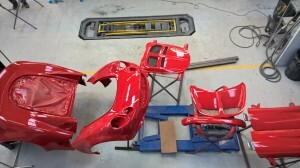 Front and rear clamshells were stripped, assessed and repaired or reinforced before being prepared for paint. During the process a number of areas were improved, for example the wheel arch liner mounting points were re-made along with some diffuser fastener areas. The top coat of Calypso Red returned all the panels to an as-new condition. Of course refinishing like this wouldn’t be complete without replacing door seals, window waist seals, decals and badges etc. 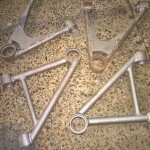 All suspension components were dismantled and bead blasted to remove all signs of corrosion. 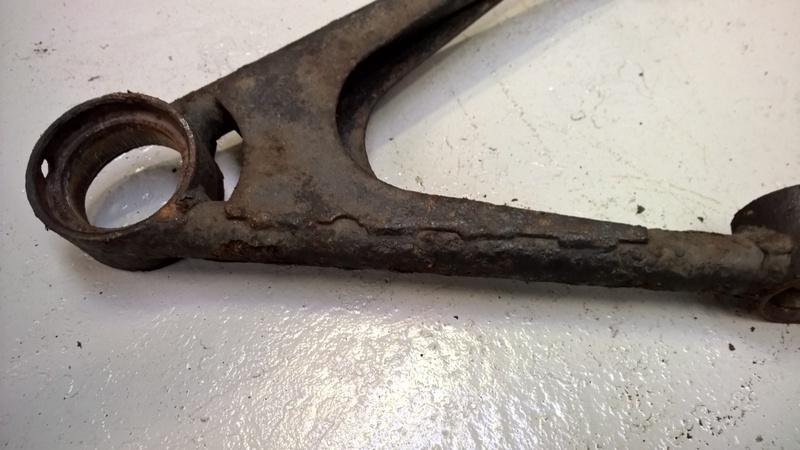 Once clean, they could be carefully inspected for perforation in case corrosion had penetrated and compromised the strength of the metals. 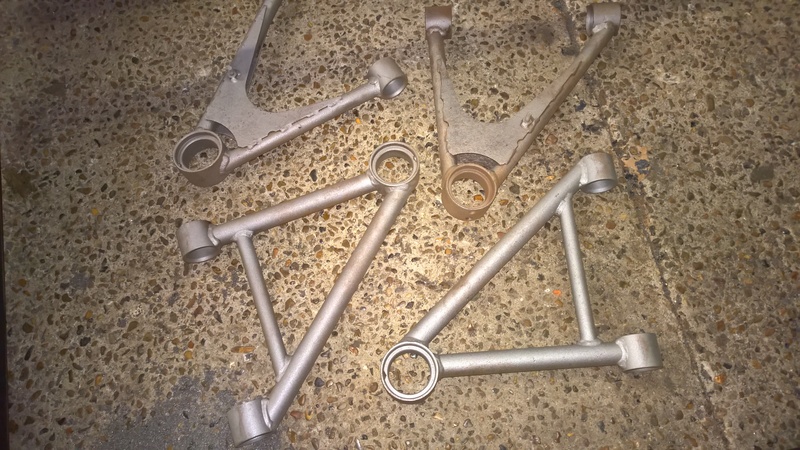 All parts were then subject to a multi-stage anti-corrosion zinc treatment and finally powder coated at high temperature to establish a satin black finish. Re-assembly included new Lotus OEM bushes, ball joints, fresh springs and damper re-valving. 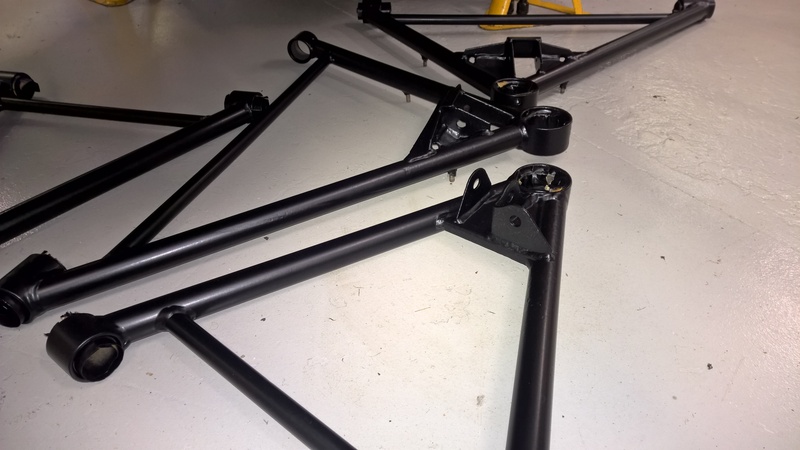 Geometry setup was carried out in line with Chris’ requirements, combined with some proven settings we have used in sprint cars in the past. 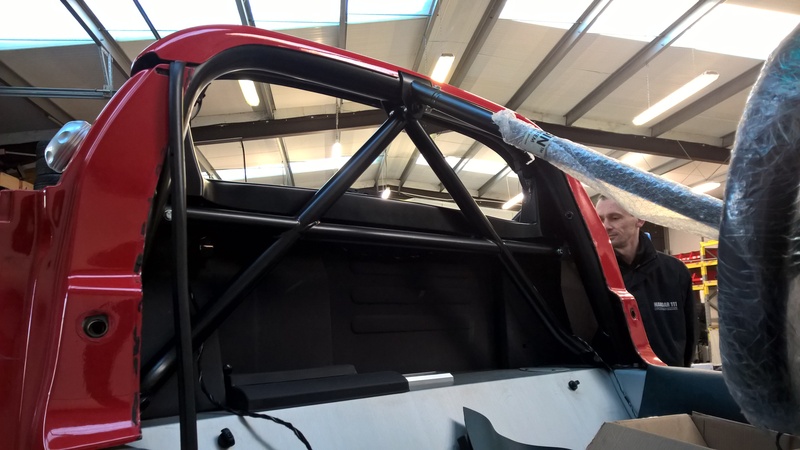 For another year of competing in the Elise, Chris opted for the traditional ‘petty bar’ roll cage that we have used in our Elise Trophy cars over the last 5 years. Manufactured by Safety Devices, this certified cage has the added benefit of a removable diagonal bar that allows the car to be used for more general purposes if required. 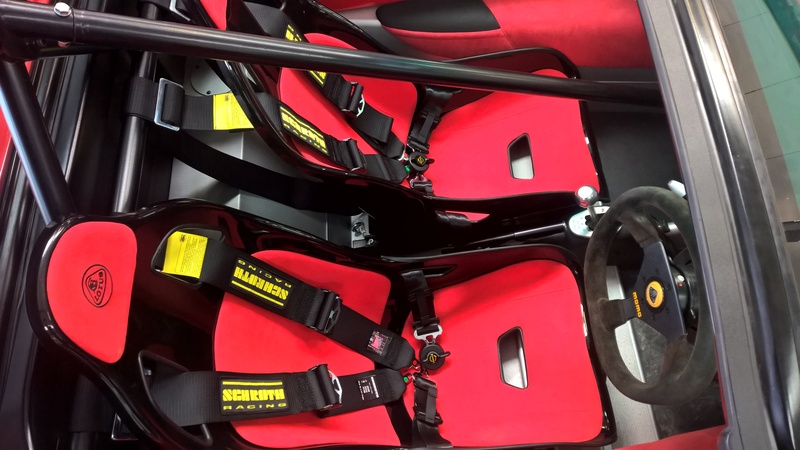 Like all other aspect of the installation works on the car, the cage was carefully fettled and fitted, leaving the installation complimenting the interior nicely. Chris brought his own race seats to which we matched the trim to his requirements. Last stage of the project was a remap of the engine on our dyno where a few more BHP were found and throttle response at lower RPM was improved. Using the Road Simulation programme on our dyno, focus was also placed on mid to full-throttle transitions to ensure that torque was smoothly delivered when required. The icing on the cake? Chris took the car straight to Harewood hillclimb the day after collecting it from the workshop, and achieved a first position in class – very well done Chris! 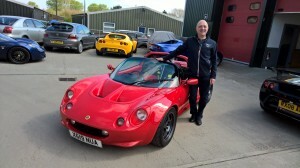 ” Thank you and your amazing team for the transformation you affected to my year 2000 Elise S1 over the winter. I am the 5th owner of the car and have now had it for 7 years. I bought it to use on the road and to compete in hillclimb events. Over the years I have made significant improvements to the car while trying to ensure that it fits both purposes. I have carried out some of the work myself (I am a qualified engineer) and have also used a good number of the suppliers & garages popular with the Lotus owners community. I can say without hesitation that Hangar 111 is the best outfit I have dealt with in all this time. The car was generally in good order, but I wanted it gone through in detail to improve every aspect of it; ride, handling, braking, engine performance and appearance. From the very outset, Greg understood what I wanted to achieve and used his expertise and experience to develop a specification for the work to be carried out. It was a significant undertaking, taking the car back to the chassis, refurbishing and upgrading the suspension, brakes & steering, repairing and respraying the bodywork, refitting the interior, repairing a few oil leaks, timing the cams & remapping the engine. Inevitably, there were a few surprises along the way, like the loose pedal-box, but I was kept informed of the issues and consulted on potential solutions. The result is astounding! It is like driving a totally different car both on the road and the track. I competed in my local hillclimb at the weekend and comfortably won my class, even though I am still getting used to the feel of the car. The work that you did on the suspension geometry and brakes, in particular, make the car far more confidence inspiring which means I can push nearer to the limits than I would have done previously. We look forward to seeing more of Chris’ progress as he attends other events! UPDATE: Chris won his class in the subsequent event!! Double Congratulations!!! Our March 2017 newsletter can be found here. 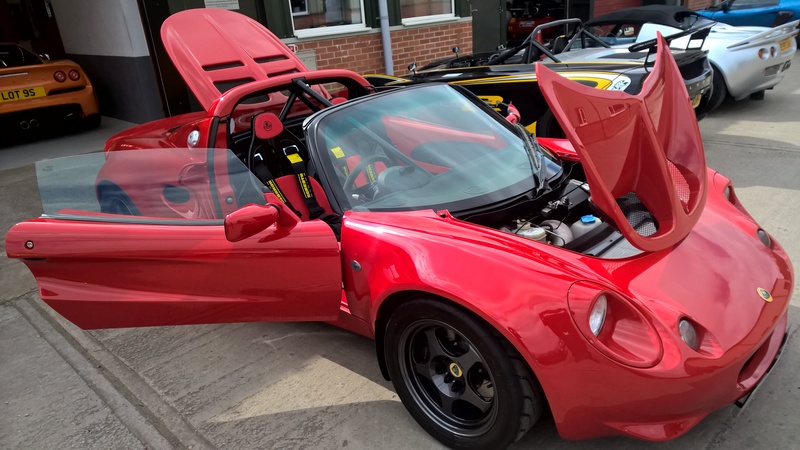 Last weekend, the doors of our refurbished workshops were opened to members of SELOC for an event organised by the local Essex liason, and Lotus stalwart, John Murphy. Around ten Lotus and a few other interesting cars braved the chilly conditions – thankfully the icy weather stayed away, and even the sun popped out briefly! 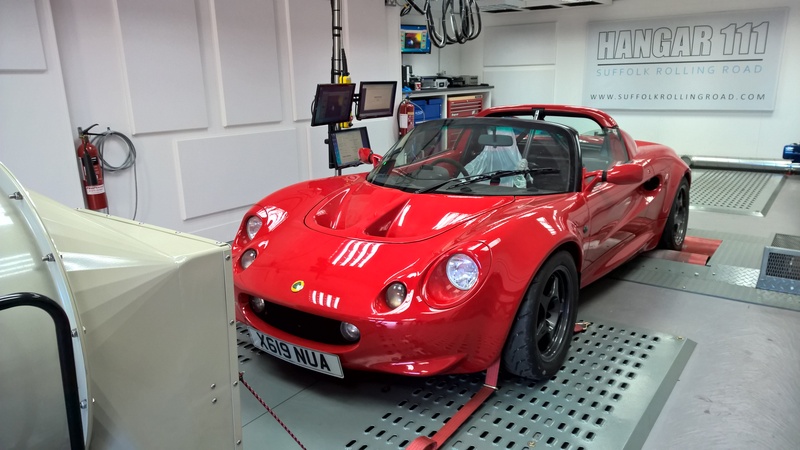 A range of Lotus cars were on display in the workshop, an Elise S1 stripped of it’s bodywork and suspension provided an insight into what goes on under the skin, as well as the Cup R race car, a recently refurbished Elise, and a couple of interesting cars currently for sale. We also had displayed a range of our spare and upgrade parts, including some of our new exhaust developments in conjunction with Komo-Tec. 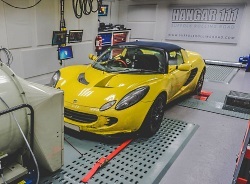 Attendees were able to take advantage of some special prices for power runs on the rolling road, as well as corner-weight and wheel alignment checks on our state-of-the art alignment rig. A plentiful amount of tea, coffee, and lunch kept everyone fuelled up for the day, and there was plenty of opportunity to chat with members of the H111 team about all things Lotus. It is always nice to welcome enthusiastic and knowledgeable club members to the workshop, we hope they enjoyed their visit, and our thanks to SELOC for a good winter turnout of cars, their drivers and passengers. The last 18 months have been filled with revisions and improvements to our workshop operations. Partly due to our introduction of the rolling road dyno and separate parts department, but always with the re-organisation of the main workshop areas in mind. With additions to our ramps, and improving our storage and work space efficiency, we can accomodate more cars in progress for both servicing and longer project work. Our customers are always welcome to take a look at what we do. This is where servicing, repairs and upgrades happen. We have various types of vehicle lift that allow us to cater for all vehicles. We have all the specialist tools, dealer diagnostic kit, and technical support from Lotus and KTM that are required to correctly repair and maintain these models. In the workshop we can repair and rebuild gearboxes and engines using the correct tools and methods specified by the manufacturer. With the volume of this work steadily increasing, we have now improved our clean-area to cater for this additional workload. Our Snap-On digital imaging wheel aligner and dedicated alignment ramps have been repositioned and recalibrated to allow drive-in, drive-out wheel alignment and vehicle setup at short-notice. Our sophisticated wireless weighing scales allow corner weights to be measured and adjusted accurately. The 2WD rolling road has it’s own sound-insulated and air flow controlled environment. 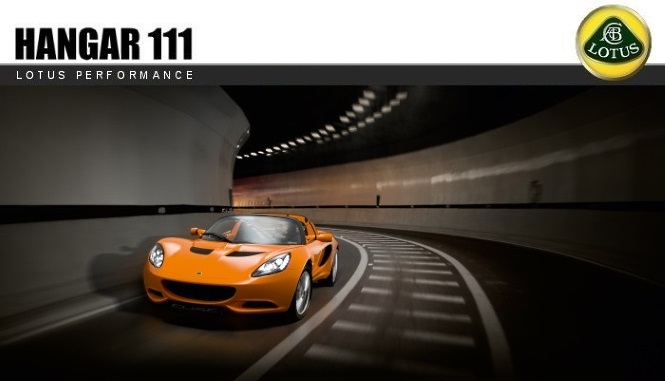 Here we can capture performance, diagnose problems and map or remap many engine management systems – including Emerald and Lotus OEM. As the Superchips dealer for the region, we can re-programme the engine management of almost all modern diesel and petrol vehicles usually within an hour. With 2016 as our busiest year to date, we decided to both move and extend our parts department. The new layout is more efficient and better organised, giving us the ability to process parts requests more effectively than ever before. Although we have some lovely locations nearby, if you are just popping in for a short visit, we now have a comfortable waiting area. With hot and cold drinks, a food prep area if you are with us over lunchtime, and power and wi-fi if you wish to work while you wait for your car to be ready. But don’t just take our word for it, why not come along and see for yourself! Summer is becoming a distant memory, but fear not, you can still drive your Lotus in the winter. Spray water at it! Pressure wash after each trip out to rinse the salt off, giving the car a little time to cool off first – keep the lance a short distance from the car, no need to be too aggressive. Clean around the wishbones, brakes, dampers, exposed chassis areas and underbody. It should be possible to access most areas through the wheels, arches, and under the car. Don’t forget the wheels and radiator. After this, try to clean the water from the brakes with a very short drive before storing the car, to prevent the brakes sticking on when parked. If you have a fuel station with a jet wash near to home, the hot foam soft brush is a good way of removing the salt film from the car. It is important to always make sure you rinse any grit and dirt from the brush with the spray lance before using it, to prevent scratching bodywork. Clean the inside of the alloy wheels – this is often the first place the paint will lift. Get a soft wheel brush that accesses the inner rim through the spokes, and all of the tight areas around the brakes etc. Always take care not to knock off the wheel weights! After washing, wax the car, and spray the wheels with a suitable alloy wheel sealant. This will reduce the effects of salt and brake dust which can be a damaging combination to the paint. It also makes it alot easier to clean in future, and the wheels look smarter for longer. Many people use softer compound “summer” tyres which are not recommend for use below 8 degrees Celsius. This is because the compound of the rubber is designed to be soft at higher temperatures, but it much harder when it is cold. It is therefore essential to keep an eye on the pressures and condition of the tyres during the winter months. 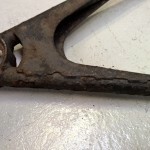 If the sidewalls of the tyres are showing any signs of cracking, they should be replaced. In the cold weather you may find that your braking efficiency is slightly reduced. This is most noticeable on cars without servo assistance (Elise S1, S2, Exige S1, 340R), and is again temperature related. Initial brake bite may be reduced after travelling on the motorway at speed for a while so take care when approaching those inevitable winter traffic hold-ups. With the roads being generally dirty, it is often surprising the difference keeping your headlights clean will make to their effectiveness when driving in the dark. If you drive alot at night, then it is well worth considering some upgraded bulbs, which can give you up to 50% more, whiter, light than the standard items. The efficiency of the heater in the Elise S1 can be improved by insulating the ducting that passes from the heater box to the inlet above the footwell. The original silver “extractor ducting” can be wrapped in a suitable non-conductive insulation like open-cell foam. Keeping the inside of the windscreen and side windows clean, will help them to demist much quicker, as well as aid visibility in the dark. Use a simple glass cleaning product with a clean microfibre cloth for best results. Footwell mats get damp in winter, so remove them from the car to dry them out, which will help prevent misting and condensation in the car when you are driving. A good quality car cover will help keep your pride and joy looking its best. 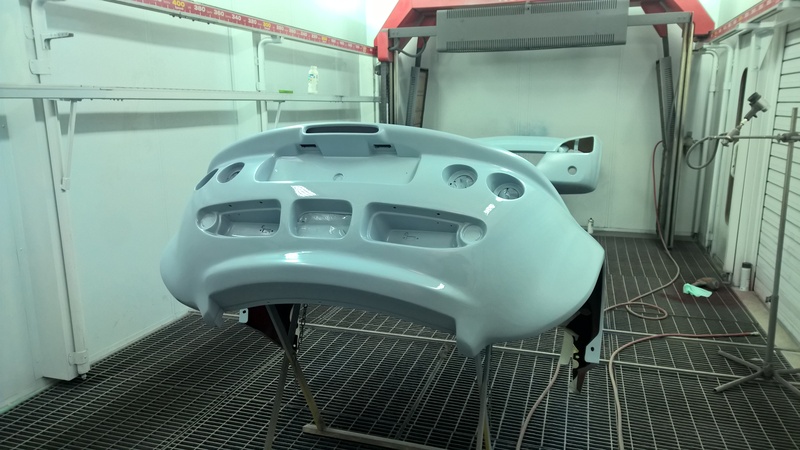 An indoor cover will ensure that all your polishing efforts won’t be contaminated by dust, an outdoor cover will protect the car from the weather should you need to leave it outside. We have a range of indoor dust covers, as well as the excellent Stormforce outdoor covers (which can also be used indoors! 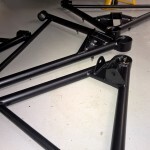 ), tailored to suit all Lotus models. Also our Elemental shower covers are great for sealing up the gaps around the soft top roof, helping to keep moisture from accumulating inside the cockpit – which in turn helps keep the windows demisted. Finally, if you are using the car occasionally, consider a battery conditioner such as the Optimate, which will ensure that your battery is kept in good condition, and the car will start on the button when you see that crisp sunny morning! There are still some beautiful driving days in winter, so don’t be scared to take your car out, just be sure to follow these tips to keep everything in top working condition! The climax of the 2016 Lotus Cup racing season takes place this weekend on the Snetterton 300 circuit. 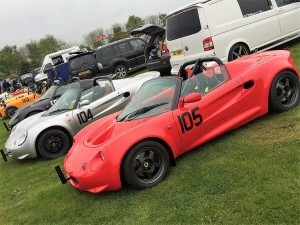 With five sessions of Lotus car on the track, supported by Mini and Formula 3 series too, it promises to be a full day of Lotus racing action as the Lotus Cup and Elise Trophy championships reach their climax. 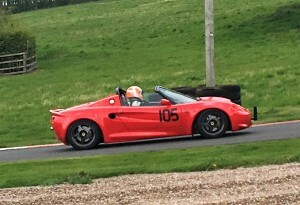 Hangar 111 Racing will again be in paddock, supporting our drivers Mark Richardson (Car 26) in Elise Trophy, and James Little (Car 34) in both Lotus Cup and Elise Trophy. As the sun sets on another great year of racing, why not come along for a final autumn blast. We’re based in the pit garages all day on Saturday, so come and find us and say hello!